Miami Mayor Francis Suarez said it's "very typical" for mayors—including his father—to balance their obligations in public office with their work as fee-earners in private practice. Olga Vieira, left, and Francis Xavier Suarez, right, of Greenspoon Marder. 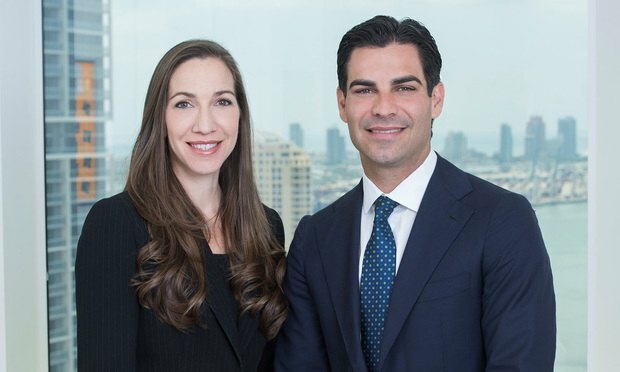 After some speculation about his future plans, Greenspoon Marder announced this week that Miami Mayor Francis Suarez has joined the firm as of counsel in its corporate and business practice group.